The Honda Civic sedan is a personal favorite among drivers. Offering a stylish exterior as well as a variety of features, the Civic proves to be a worthy contender on the road. If you’re seeking a car that provides plenty of comfort, safety, and technology features, the 2019 Honda Civic is an excellent choice. At Renaldo Honda, we offer the 2019 Civic and many other popular rides. We provide an extensive inventory filled with a variety of makes and models. If you’re in the middle of your car-search, don’t worry. We’ve added helpful filters so you can refine your search on our site. Simply select from features, fuel type, year, body type, price, model, and more. You’re certain to find a ride you love when you choose us! For those of you interested in the 2019 Civic, we’ve taken a more in-depth look below. Keep reading for more information and to learn why the Civic is right for you! The base LX trim provides a 2.0-liter four-cylinder engine that makes 158 hp and 138 lb-ft of torque. It is paired with a six-speed manual transmission, but a continuously variable transmission is an optional choice for drivers. The EX trim comes with a 1.5-liter four-cylinder engine that delivers 174 hp and 162 lb-ft of torque. This trim comes standard with the continuously variable transmission. Find the 2019 Honda Civic Today! 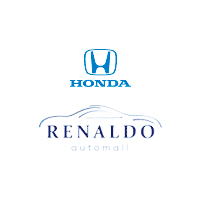 Stop by Renaldo Honda today! We have an extensive inventory filled with countless rides you’ll love! On top of that, we provide numerous deals and specials you can take advantage of. Our deals are only for a limited time, so stop by today. You don’t want to miss out on a great deal with us! Our dealership is conveniently located at 4421 East Dixon Boulevard, Shelby, NC 28152, which means residents of Boiling Springs, Kings Mountain, and Gastonia are just a short drive away. Once you arrive, our friendly team members will be more than happy to fill you in on our specials and sit down with you to go over your options. Once here, we’ll show you around and let you take a test drive or two. Get behind the wheel of the new 2019 Honda Civic today! We look forward to seeing you soon. Feel free to stop by Monday – Friday from 8:00 a.m. to 6:00 p.m. and Saturday from 9:00 a.m. to 6:00 p.m.